The Department of Earth Sciences at Utrecht University seeks a postdoctoral researcher to work for at least 12 months in DESTRESS, a major EU H2020 programme on Enhanced Geothermal Systems. 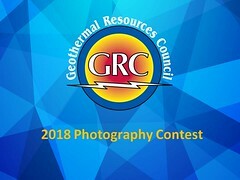 The goal of DESTRESS is to demonstrate the feasibility of so-called “soft stimulation” – geothermal productivity enhancement while minimizing induced seismicity. The field demonstration experiments in the programme require underpinning by modelling. The postdoc will work on fast, semi-analytical tools, intended to capture the main physics determining fault friction and seismogenic slip but simplified to the extent that calculations are fast. This will facilitate sensitivity analyses aimed at mapping the range of outcomes due to uncertainties or operational choices, providing the possibility to employ ensemble-based data assimilation to constrain those uncertainties. We envisage starting with existing modelling tools that address poro-elasto-plastic reservoir behaviour and fault failure, by evaluating the stress path due to injection. The technology then needs to be extended to include thermal effects, stimulation, and induced seismicity. The tool will be tested on a soft stimulation treatment performed in Pohang (South Korea).